The idea of 'consent of the governed' was so powerful that it was adopted by Thomas Jefferson, principal author of the “American Declaration of Independence” June, 1776. However, that concept is lost on the Dominica Labor Administration. They believe that, because they were elected as a majority Government 17 years ago, they have a right to remain in power. So, this Labor Administration is not really concerned about consent from the “governed”. They are determined to remain in power and will do 'whatever it takes’ to get a majority vote. 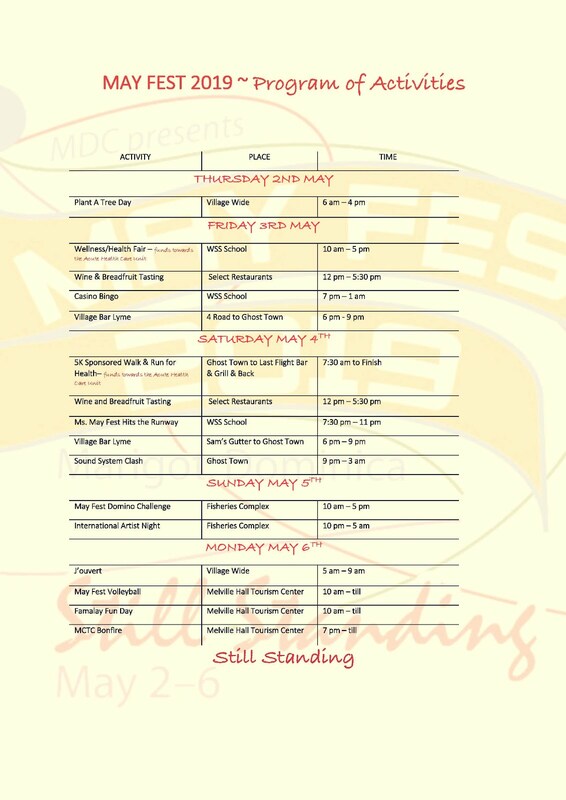 They have been bribing overseas voters to travel to Dominica to vote for the past 3 election cycles and they have no intention of stopping this practice. They will continue to do so even if they must change the law to enable this illegal behavior. This is an unfortunate situation because Dominica is a democracy which functions under a parliamentary system. Under this system there are few checks and balances. This means that elections become the only avenue for the people to decide who they want to govern the country. Therefore, when this process is circumvented by unscrupulous leaders, Democracy is severely eroded. In the case of Dominica, the current administration is set to change the Electoral laws to make it easier for them to transport as many voters from outside the country as they deem necessary to achieve electoral victory. Just imagine, you are living in a country, and outsiders get to pick who will govern you for 5 years. This is what the people of Dominica have been facing for several years. It is illegal and violates the countries existing laws; now, the perpetrators want to codify this practice into law. Dominica's bloated voters list remains both the springboard from which the Administration launches its attack on democracy and the spike used to administer ghastly blows on the country's constitution. One must wonder why? Over the years, the Electoral office has not been doing its work. According to the Registration of Electors Act, the voters list must be updated and published at least once a year. That means all the dead persons and those who have been living overseas for more than 5 years should be off the list. How difficult is that? Instead, all the Electoral Office appears to do is to register new voters. No wonder the list has thousands of people with the number of voters being equal to the population of Dominica. How is that possible? As it stands the Electoral Office has violated the electoral laws. Is Chief Elections Officer, Mr. Larocque, another mole of the Labor Party? They have already hijacked the Electoral Commission. 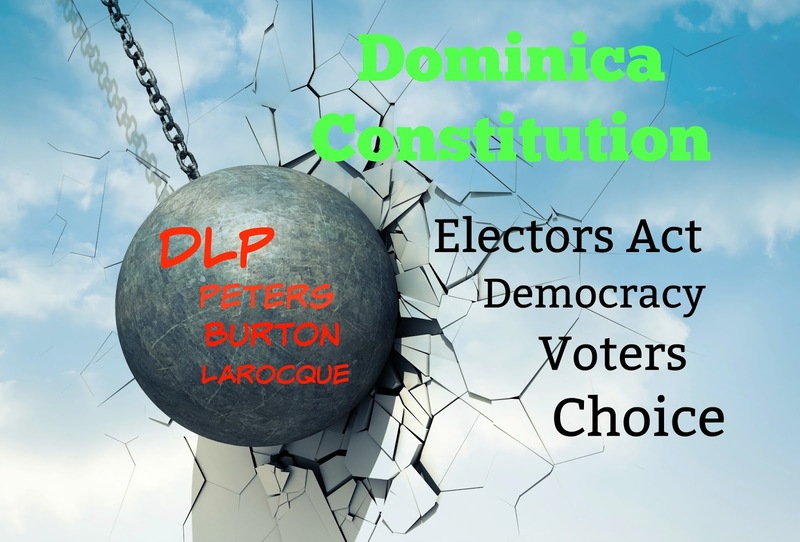 Mr. Gerald Burton, Chairman of the Electoral Commission, is the biggest stooge of the Labor Administration; it is no surprise that he agreed to recommendations proposed by the Labor Administration even if such changes could impact Democracy in Dominica for years to come. Mr. Burton is gutless and he should resign. Like other members of the Electoral Commission, under the Constitution he derives tremendous independence to work on behalf of the people of Dominica, free from interference by political and governing parties. Instead, Mr. Burton is working on behalf of the Skerrit-led Labor Administration, aided by Attorney General (Mr. Levi Peters) in drafting legislation to take away rights from the majority of Dominicans and give it to Dominicans who have chosen to reside, work and pay taxes outside of Dominica for several years without returning to the island. The Constitution was set up to protect the votes of those living in Dominica, not those who choose to live outside of the country. Dominicans living outside of the country, continuously for more than five years, must meet specific residency requirements before being permitted to vote. It is evident that the Labor Administration does not abide by the rules. They are prepared violate the laws and constitution of Dominica to maintain their clutch on power. No one knows why this administration is fighting so hard to remain in power. By the next election they would have been in power for 20 years. One would think that they would be able to say that they are satisfied of having performed for the Dominican people and move on. Instead, Members of the current Administration seem panicked about being out of office. Are they scared that they will lose all the money and privileges that they now enjoy and they might even have to work for living like everyone else? The proposed changes to Electoral Act must not be allowed to go forward. Whoever heard of an Administration of a small Country which has chorused that voter ID cards are too expensive but is willing to spend money to go overseas to 'confirm' voters? How will they 'confirm' all voters? Are 'Laborites’ going to be given preference? Are New Jersey and Miami going to be given priority over Alaska? Where do you draw the line? Does it mean that it will be acceptible to disenfranchise some 'Freedomites' in Australia but the “Laborites” in Miami should get to vote? This will not stand up to a court challenge. Lawyers advising the Administration need to take a Refresher course because their reasoning is stale. Probably they may not have heard about the big change that occurred regarding the result of a recent election in East Africa. 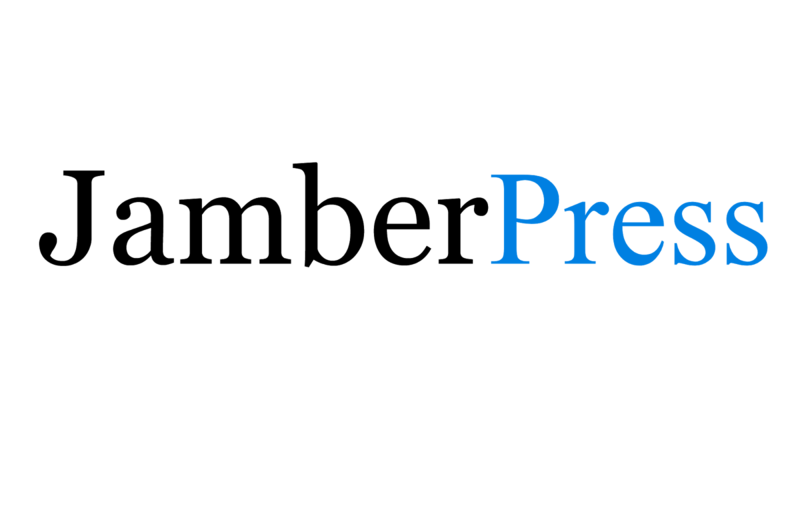 On September 1, 2017, the results of the Kenyan Presidential Election was overturned in a 4-2 Decision by the Kenyan Supreme Court because of illegalities. The Kenyan Independent Electoral and Boundaries Commission, IEBC, was ordered to start the process all over again with new polls within 60 days. Just imagine! The Majority reasoning was interesting and bear relevance to other Commonwealth Jurisdictions. Chief Justice David Maraga, writing for the majority, laid all blame of the illegalities and irregularities on the Chairman of the IEBC, Mr. Wafula Chebukati, rather than on the President-elect, Uhuru Kenyatta. Mr. Gerald Burton had better take note. Under existing law, Dominica's Electoral Commission has the power to create voter ID Cards for electors in Dominica. Mr. Burton is being complicit in facilitating inclusion of language in the proposed amendment which would let the Labor Administration 'confirm' voters living overseas. The mechanics of this 'confirmation' remains fluid and dubious. Mr. Burton wields the tie-breaking vote on the Commission and, if he was concerned, is empowered to take the Commission's concerns to the public without fear of retribution from the Labor Party Administration. Hence, the Electoral Commission can work in the public's interest to thwart destructive electoral legislation from getting to Parliament. One can conclude that Mr. Burton does not mind if Democracy in Dominica is demolished. What Remedies are available to Voters? Including 'destructive' language in the proposed amendments to the House of Assembly Electoral Act that would violate the spirit of the Constitution is illegal and must not be allowed to proceed. Voters living overseas must not be given priority over the local voters. The Dominican business of voting must not be taken out of the boundaries of Dominica where control and scrutiny is lost. Taking machines out of Dominica to confirm voters overseas is antithetic to the country's Constitution. Whoever heard of such nonsense? Mr. Gerald Burton and the Electoral Commission must direct the Electoral Office and Chief Elections Officer, Mr Larocque, to begin the task of issuing voter ID cards as outlined in the House of Assembly Elections Act (Registration of Electors Act) without the need for biometrics. Likewise, the current Act does not permit the illegal activity of registering voters aboard. Under the Act, any change of address should be communicated to the Electoral office by the voter. The Electoral Office is obliged to publish changes and communicate with voters at most recent address. The Labor Administration, aided by Attorney General Levi Peters and their unelected gang of 'rogue Lawyers', should stop trying to introduce laws that could dismantle the Constitution, wrest power away from electors and transform their current illegal actions into destructive routine activities. The remedies available to voters are limited but powerful. According to John Locke, ”government exist to protect the people’s natural rights, life, liberty and property". If government fail to do so, then the people are left with no choice except to exercise their rights to……..